Creativity International Awards makes a special effort to obtain judges representing the demographics of our competitors – judges from U.S. East Coast / West Coast, international agencies, freelancers, educators and creative directors, copywriters, photographers, illustrators have all taken part in our panels over the years. 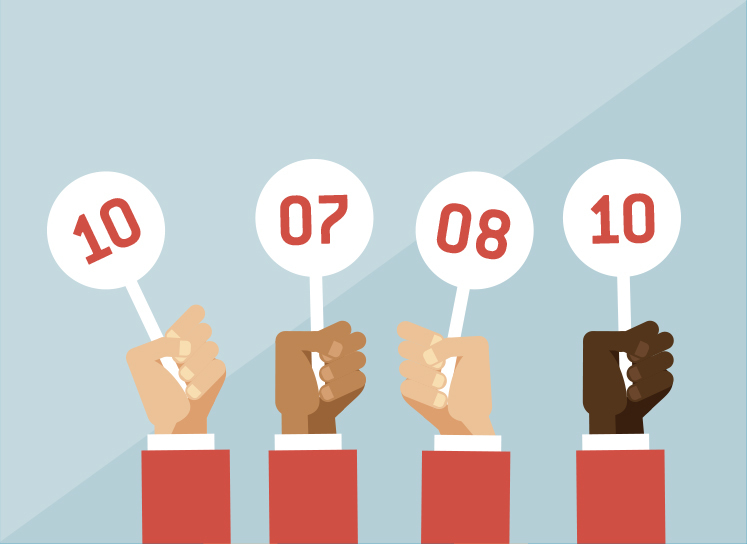 Each year at least 20 jurors volunteer their considerable time and knowledge to judging the Creativity International Design Awards. Some judge one or the other competition – some judge both. They are not paid or compensated for their time and travel is not reimbursed. Being on an award jury is a labor of love and we are truly appreciative of these individuals that give so much. Judges 2012-present are listed here. Judges from 1970-2011 are acknowledged in their respective Creativity Awards Annual available on Amazon. Mario Natarelli is managing partner at MBLM and author of new Amazon #1 bestseller Brand Intimacy, A New Paradigm in Marketing. Mario is a trusted advisor to executives and their companies as he looks to leverage their most important asset—their brands. By first being able to uniquely understand a brand’s true challenges and untapped potential, then through deliberate and extensive analysis he’s helped major Fortune 500 companies—and even entire countries—tangibly transform while helping to align their cultures and deliver unprecedented growth and value. With early career training as an architect, Mario uses these fundamentals to balance the art and science of brand building. He understands that a brand’s essence and culture emanate from its strategic core outward. 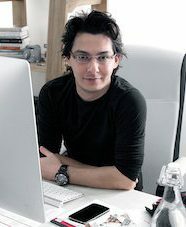 In addition to building a successful digital marketing business that was acquired by Interpublic and later became part of the formation of FutureBrand, Mario is keenly aware of the role that digital plays, and he has pioneered software as a digital operating system for optimizing and managing brands. Over the past 17 years, he has led teams across three continents, working for clients of varying sizes and industry focuses, mostly in the areas of technology, real estate, travel, sports, and hospitality. 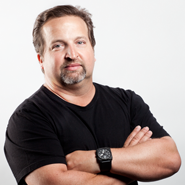 Along the way, he has developed a proprietary set of frameworks, processes, and tools that deliver proven results. As important as the brands he has helped create or enhance, Mario is proudest to lead a multidisciplinary, multicultural, multigenerational team looking to expertly solve problems. His love of architecture has inspired his work in destination, real estate, and luxury categories where he has helped shape a quarter-trillion dollars of value. He lives and plays in New York City. Kira Sea has a wide range of professional design experience that includes branding, print, illustration, typography, digital, advertising, book and packaging. She is especially passionate about branding and logo design. She currently worked in branding firm Siegel and Gale where she gets to design all the coolest logos she wants. She previously worked at Apple, Mother and Anomaly. Clients include Apple / Google / American Express / Marriott / Converse / Hmbdlt / Johnnie walker / GroundTruth. Her latest work Hmbdlt, has won numerous awards such as Cannes Lions, D&AD, One show and was also picked as Times the 25 best invention of 2016. She also gained considerable exposure in magazines, books, podcast and in exhibitions, with an emphasis on logo, posters, and illustration. 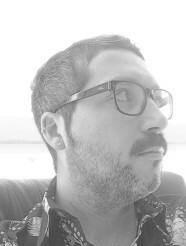 Sergio is currently the executive creative director at Conversion in Milan, an art director, a copywriter, a scriptwriter, a TV and radio show writer, an advertising teacher and definitely a mythomaniac. He started his career doing proper advertising, then he fell in love with new and alternative media—and found out that fun is mixing it all together. He worked for small, medium and big agencies on small, medium and big accounts. He has been a juror for several local and international awards like Cannes Lions, New York Festivals, Epica, Art Directors Club Italy, Mobius, White Square, Red Apple, Chipshop Award and many more. 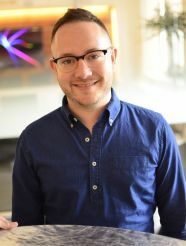 John Howells is a Creative Director at NYC-based digital advertising agency, Situation - which specializes in live event and entertainment brands and prides itself on connecting people with amazing experiences. John has worked on clients like NBCUniversal, Stoli, Mean Girls the Musical, Wicked on Broadway, and the New York International Auto Show. Whether he’s ideating a one-of-a-kind live activation, or concepting key art, John continually raises the bar for creative excellence. He also enjoys mentoring and inspiring his team to create awesomeness, and when not hard at work, he’s doting over his French Bulldog, Connie. Check out her daily swagger at www.instragram.com/ohheyconns. 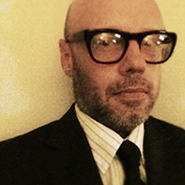 Christopher Powers is the Executive Director of Arts & Culture at Situation – a digital agency based in New York City. He earned his stripes by working at Mezzina/Brown, Bates Worldwide, Wunderman, and Draft Worldwide on Fortune 500 clients including IBM, Verizon Fios, AstraZeneca, and Computer Associates before finding his true home at Situation. For 10 years and counting, he has helped Art & Culture brands effectively and authentically tell their stories. At Situation, Chris leads the creative team to produce award-winning, effective campaigns that connect people to cultural experiences. 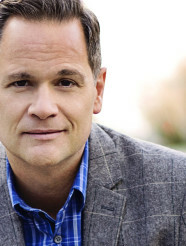 He has worked with clients like The Metropolitan Opera, Roundabout Theatre Company, NYU Skirball, NY Tenement Museum, and Broadway shows like Spring Awakening, Anastasia the Musical, and Dear Evan Hansen. Chris grew up in Worcester, MA and graduated from Brandeis University in Waltham, MA before moving to NYC to begin his career in advertising. He now lives in beautiful Rego Park, NY. "Before becoming advertising creatives, Frank Garcia was a marketing VP for several banks in Panama, and Giulia Magaldi was a journalist in Italy. Their work has been awarded at numerous international shows including Clio Awards, The One Show, New York Festivals, ADDY's, Young Guns, Wave Festival, Applied Arts and Young Glory. And it has been featured on Adweek, Ad Age, Fast & Co, Luerzers Archive, E!, Mashable, Glamour, Huffington Post, Vogue, Washington Post, among others. Other highlights in their career include being named in Business Insider's 30 under 30's most creative people in Advertising. ​When not doing ads Giulia dances swing and Frank plays music." EVP – Chief Creative Officer David is one of a handful of copywriters whose work resides in the permanent US Congressional Record. Throughout his career, across every media platform, he has remained true to David Ogilvy’s edict that it’s only creative if it sells. 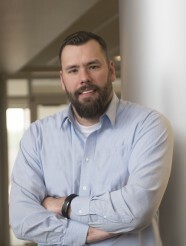 He is a multiple-Effie winner who has set performance benchmarks in categories ranging from automotive to bourbon to computer hardware. His and his teams’ work has been recognized by The One Show, Communication Arts, and as “best remembered of the year” by The Wall Street Journal. Away from the office David is devoted to his wife, their four children, and the pursuit of the perfectly cut suit. Kara is a graduate of the University of Louisville, College of Business with a BSBA in Marketing and minor in Sociology. She quickly started her digital marketing career at a digital advertising agency where she took on content creation, email marketing, SEO, social media management, and digital media buying. She has been nationally cited in FORBES and recognized by the American Advertising Federation as a "Hot 10", just one year out of school. She has served as the President of the Young Advertising Professionals, and was the youngest person to present both locally and regionally on Digital Strategy for AAF Louisville. In 2016 she was named one of the “20 People to Know in Marketing & Advertising” By Louisville’s Business First. She is currently the Director of Marketing of Power, after spending two short years on the digital strategy team. She now develops marketing strategies and new business efforts for the agency, increasing visibility and gaining more business opportunities. She spends her free time #yogaing and helping the communities that mean the most to her. She currently serves on the advisory board of the Louisville Chapter of Women in Digital and the Asia Institute Crane House. Her previous service includes, Social Media Coach for Bad Girl Ventures (Cincinnati), Vice President of Diversity of the AAF Louisville, Founding member of the Crane House Young Professionals, food writer for BG Magazine, and part-time hand model when needed for shoots. Brand experience: AutoZone, Carnival Cruise Lines, Fruit of the Loom, Russell Athletic, Texas Roadhouse, Sun Tan City, GE Appliances, GE Aviation, Lennox, Speed Art Museum, Quest Outdoors, Churchill Downs, UTC and AZZ inc.
As a wandering Anglo-Australian, Simon has recently returned to Sydney to head up the Oncology Business for AbbVie Australia. Simon has worked in biotechnology and pharmaceutical Marketing for over 15 years on products ranging from blockbusters to niche players. The Life Sciences industry is an area of high innovation and its media should be creative and powerful as well. ZHOU Wenjun, Founder & Design Director of 524 STUDIO. 524 Art & Design Consultant Ltd; 524 Architecture & Design Ltd; 524 Science & Technology Ltd. Mr. ZHOU has been invited to Europe, Asia and America as Final Judge for several international Architecture/Design/Creative awards. Such as: Final Judge of: SPARK Design Awards (2013 US); A' Design Awards (2013-2014 IT); VERTEX Awards (2014-2015 US); A' Design Awards (2015-2016 IT); VERTEX Awards (2015-2016 US); MUSE Creative Awards (2016 CA); CSS Design Awards (2016 US); A' Design Awards (2016-2017 IT); MUSE Creative Awards (2017 CA); VEGA Digital Awards (2017 MA); CSS Design Awards (2017 US). 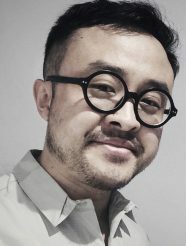 ZHOU Wenjun's work has earned a plethora of international awards, mainly including: Art Directors Club Cube (US), One Show Design Pencil (US), Red Dot Awards (DE), Cannes Lions (FR), Tokyo Type Directors Club (JP), HKDA global design awards (HK), A' Design Awards (IT), International Photography Awards (US), Japan Typography Association (JP), International Design Awards (US), Design For Asia Awards (HK), GRAPHIS Awards (US), China National Art Exhibition highest prize (CN) and other awards. He is a Cube Awarded Member of New York the Art Directors Club (ADC), Pencil Awarded Member of New York The One Club, Member of The Architectural League New York and Member of the China Artists Association. Zhou's work has been published and exhibited globally, such as United States, Japan, Germany, British, Brazil, China, South Africa, India, Bulgaria, Hong Kong, Singapore, Austria, Chile, South Korea, Slovenia, Thailand, Argentina, France and Switzerland. Born in England to a Creative Director father he studied Graphic Design for 2 years before learning print retouching and illustration in a London studio. Shortly after he jumped on a plane to Sydney where he started to learn his trade as an Art Director. After 5 years he returned to London as a designer for McCann which sharpened his layout and type skills further. His healthcare career began in to 90s working as an Art Director in Sydney before being appointed creative director of H&T in 2001, where he has stayed ever since. 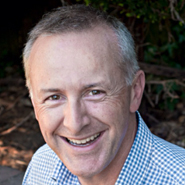 Over the years he’s won many awards for both the human and animal health sides of the agency and have appeared on ABC televisions advertising show ‘The Gruen Transfer’ on four occasions. Last year he was honoured to be chosen to sit on the Health and Wellness jury for Lions Health in Cannes. In 2014 he sat on the inaugural Healthcare Executive Jury for Spikes Asia in Singapore and the Executive Jury of the Global Awards in New York in 2013. Matt is now Group Creative Director of the Healthy Thinking Group of which H&T is part of. This is a unique communication collective specialising in human, animal, environmental and plant health. The group cover every aspect of communications, including business and brand strategy, creative, medical education, digital, training and development plus patient support. The group has offices in Sydney, Melbourne, Auckland and Singapore. Matt is creative lead accross all business units and offices. Von Klueger Creative Studio inc.
Peter Von Klueger - Von Klueger Creative Studio inc.
Creative director & photographer Peter von Klueger develops integrated brand stories for top tier consumer and lifestyle brands with a keen eye for visual aesthetics. Trained and deeply influenced by the multi-discipline Bauhaus movement, VK's approach of building brands and products is always a multi- discipline, cross pollination of art, design and technology, VK applies this timeless and highly usable design philosophy to all the facets of his work, from photography to graphic design. 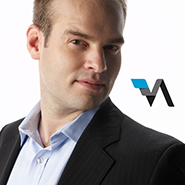 Before the birth of Von Klueger Creative Studio in spring 2011, VK served as executive Creative Director at EmpathyLab, leading the creative digital teams for eCommerce clients like Clarins cosmetic international, Thierry Mugler & GameStop to media & entertainment clients like Comcast, Sony, UPC, UltraViolet, Liberty and NBC TV network. The work also continued for Robert Redford to create the brand identity and the interactive elements of their venture “The Redford Center”. Previously, as creative partner at 1919 Brand Agency in NYC, VK clients included The Ritz Carlton, Lilly Pulitzer, Victoria’s Secret, and Robert Redford’s Sundance. For the European chocolate company, Ritter Sport, VK created a comprehensive cross platform movement campaign that included social media and viral elements. Before joining 1919, VK served with global creative direction at the digital agency KPE, creating digital campaigns for a wide range of media/ entertainment/ lifestyle brands including Sony, Polo Ralph Lauren & Ralph Lauren and Discovery Network. Developing digital experiences for celebrities like Alicia Keys and make-up artist Kevyn Aucoin. At Ogilvy & Mather in New York, VK art-directed global cross platform campaigns for American Express and Motorola. In the last 15 years, I've been lucky enough to work in a wide range of creative environments and to collaborate with a multitude of people and clients. I started out into the multimedia sector, then I moved into the film VFX industry and then moved again into digital advertising. But I always stayed focused on keeping entertained and surprised the audience. Over the years I’ve covered many different roles such as CD, ACD, Art Director, Digital Designer, VFX Artist and Motion Graphic Designer. 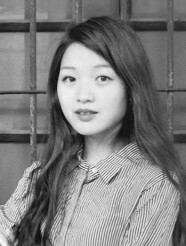 Yanwen Hu is an award-winning designer specializing in user experience, data visualization and graphic design. She is a Senior UX/UI Designer in Fashion/Luxury Industry based in New York. When Yanwen served as a User Experience Designer at Conde Nast Digital, she worked on multiple global brands' website redesign projects, including Glamour, Conde Nast Traveler, Epicurious, Teen Vogue and Golf Digest. Those projects have been nominated by the Webby Awards in 2015 and 2016. 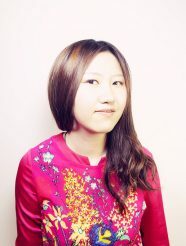 Besides that, Yanwen’s design has been exhibited in New York and Beijing, China, and featured in various publications. Currently, she serves as a judge for CSS Design Awards 2017, and a mentor for UXPA NYC mentorship program. Maggie Meader is one of the founders and Executive Producers at NYC-based production company, Sibling Rivalry. 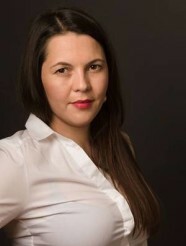 As the former Executive Producer and Head of Creative Operations of the Design + Digital Department at @radical.media, Maggie had managed a growing team of Art Directors, Copywriters, Animators, Editors, Producers and Programmers who created a diverse portfolio of transmedia entertainment. Prior to @radical.media, Maggie served as the Director of Creative Innovation at renowned agency, Droga5. 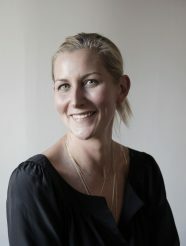 While at Droga5, she produced and branded various award-winning multimedia projects, including the “Tap Project,” a campaign that advocated national restaurants donating $1 for every glass of tap water in order to raise awareness and help provide clean and accessible drinking water for millions of children around the world. The “Tap Project” won numerous accolades and awards, including the Cannes Titanium Lion. Now as part of the leadership team at Sibling Rivalry, there isn’t a single aspect of her business that she’s not involved in, whether it’s biz dev, on-set production or event management. During her time at Sibling, she has supervised and worked on projects for the BET Awards, E! , Acura, Cadillac CT6, TED Global , The Food Network and Nicktoons. Joe Wright, born in London, England, is a Director and Creative Director notorious for his diverse visual style and ability to take projects from concept to post. With a background in both graphics and photography, his directorial work encompasses a range of emotional aesthetics, from dry humor and storytelling through to high-end visual effects. A graduate of London’s St. Martins School of Art, Wright set up a successful design studio in his hometown, and worked with clients such as Channel Four Television, the BBC and Sony. Within a year of moving to New York in 2001, he was appointed Creative Director at Trollback & Company, where he became partner in 2005. In 2011, he co-founded Sibling Rivalry with partners Mikon van Gastel and Maggie Meade. His commercial projects include work for Cadillac, Samsung, Acura, SyFy, and HBO. A selection of his work is also part of the permanent collection of the Cooper-Hewitt, National Design Museum in New York. 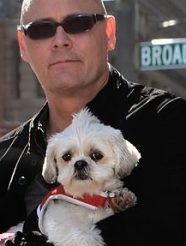 Joe resides in New York City with wife and son. Nisa has spent more than 20 years working in advertising, started from Lintas, DY&R, Lowe, then Hakuhodo for 3 years as a Regional Creative Director, followed by a year at JWT. 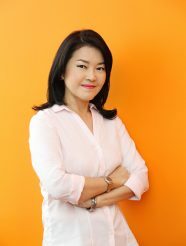 In 2006, She joined Dentsu Thailand and is now acting as Executive Creative Director. She has won a number of international awards such as Cannes Lions, London International Awards, New York Festivals, Time Asia- Pacific, Adfest, Spike Asia, Adstars, Smarties (MMA), AME Awards, FWA Awards and local awards: Adman and B.A.D. Awards. She has also served as a juror at many International award competitions such as Print & Publishing at the Cannes Lions, Print Poster and Outdoors at LIA, a grand jury at New York Festivals (cat. Design), the UA&P APAC Tambuli Awards (cat. Advocacy) and a regular juror at the Adman awards and B.A.D. awards. Nisa has also takes the role of guest lecturer and advisor for undergraduate university students in Advertising department during weekends. And with this new era of Interactive and Digital media, Nisa has been developing many online campaigns, which employed innovative digital trend and implement works within new media channels. Last but not Least, she is constantly deepening her understanding in an online marketing as well as exploring new possibilities. 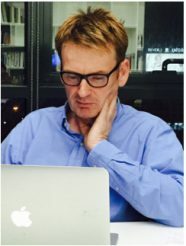 ROBERT MITCHELL PARTNER, DRIVING GROWTH, UAE Robert trained as an advertising photographer before joining Saatchi & Saatchi in 1984 as an Art Director. He has worked internationally in senior creative management roles for agencies including JWT, Springer & Jacoby and Scholz & Friends. He helped develop and manage blue-chip global brands including BMW, Jeep, Volkswagen and Samsung. 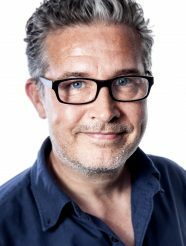 In 1999, Robert joined Foote Cone Belding where he worked primarily in Asia, leaving the network in 2007 with responsibility for over sixty countries and the title of Worldwide Creative Director. Robert was hired to setup and run a Dubai-owned boutique agency with offices throughout the Middle East. In 2016, Robert established his own agency in Dubai, Driving Growth, with a core focus on integrated Digital, Live Events and PR. For nearly 20 years, Candace Jaworski has been in the creative industry holding a variety of positions from packaging designer to account manager. She now holds the title of Creative Director/Partner of Rockit Solutions, a digital marketing agency that offers social media and online marketing services for local, independent businesses and non-profits. Jaworski received her B.A. in Interior Design at the University of Kentucky. It was during those four years that she translated the skills she learned to work as a graphic artist for the Agricultural Communications Department. After graduation, she landed a position a packaging designer for Louisville Bedding Company, the world’s largest manufacturer of bed pillows and mattress pads. While there she went to Syracuse University for an M.A. in their Independent Study Degree Program (ISDP) in Advertising Design. After finishing coursework for the M.A. and leaving Louisville Bedding, she moved to the account side of the business at Bisig Impact Group, one of Louisville’s Top Ten agencies. 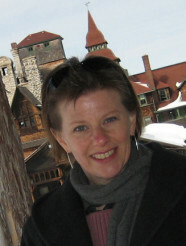 During her seven-year stint at Bisig, her client roster included The American Printing House for the Blind, Belterra Casino Resort & Spa, Norton Healthcare, and she worked most deeply with Toyota Motor North America on their North American Environmental Report. Her volunteer efforts in the Louisville community are vast. 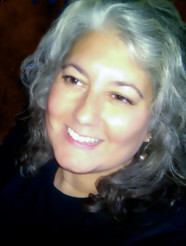 She’s helped in marketing efforts for the Young Professionals Association of Louisville, served as President of the Louisville Graphic Design Association (now AIGA-Louisville), served as Presdident of the Advertising Federation – Louisville, and is currently on the board of the Louisville Digital Association. 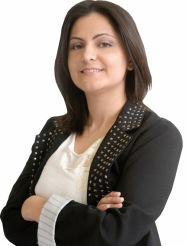 Her commitment to the community led to her being a Business First Forty Under 40 Honoree in 2010. As Chief Experience Officer, Josh leads Ai’s multidisciplinary design program and is responsible for company strategy, creative vision and user experience. He works directly with clients to leverage design and technology in order to create meaningful experiences designed around real human needs that inspire and improve peoples’ lives. Under his creative leadership, Ai has grown from a 3 person boutique to a 50 person full-service, digital agency. Additionally, Ai has been named a Best Place to Work in New York by both Crain’s and Ad Age. 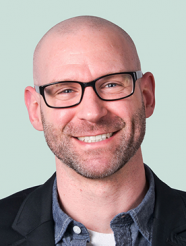 As a leader and design craftsman, Josh has created successful initiatives for companies such as Saks Fifth Avenue, Citigroup, Pepperidge Farm, Schwinn, MetLife, Lowe’s and Virgin Mobile. 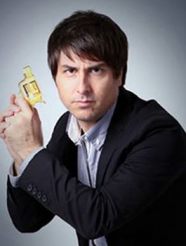 He has received awards from Cannes Cyber Lions, Communication Arts, IMA, Davey Awards and Adobe. He’s been featured in publications such as Crain’s, Internet Retailer, Multichannel Merchant and DM News. Josh speaks regularly at Design and UX events all over the country, focusing on topics such as visual design, branding, usability, ecommerce and mobile strategy. 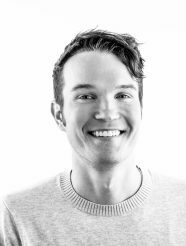 Josh brings his passion for design to Ai’s office by creating a work environment that fosters collaboration and personal growth, and a culture that celebrates a healthy work/play balance. 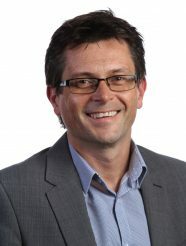 He has spearheaded many of Ai’s internal programs, including the agency's successful mentoring program, which introduced teenagers to the world of technology and business. Josh also established the company’s internal educational program, AiU. Josh is a graduate of University of Michigan and loves pigs. (Speaking of pigs, Josh once owned a precious piglet named Vincent–may he rest in peace.) Josh lives in New York with his wife, daughter, son, and French Bulldog: Big Joey Carmichael. He is actively involved in charity work, primarily with the March of Dimes. Josh and his wife Paulina were recently named National Family Team Chairs for the 2016 March for Babies by the March of Dimes. Meng Chih Chiang is an award-winning digital designer currently living and working in New York City, specializing in data visualization, UI/ UX and interactive media. Meng was born in Pingtung, Taiwan. It was due to the poverty of her family that she has self-studied art since she’s a child. In 2005, she graduated in the honor of the first place from art talented class of National Pingtung Senior High School where she received 3-years full scholarship. Meng was later accepted to a BFA in Visual Communication Design from National Taiwan Normal University, as the recipient of Merit Scholarship. She actively explored to a great diversity of design and developed a new perspective on creative expression. In 2011, Meng won Government Scholarship, Ministry of Education, Taiwan to study School of Visual Arts, MFA Computer Art in New York, concentrating on interactive art of interface, infographics, programming and internet. Other Scholarships include Matching Outside Scholarships, Lab Assistantship Scholarship and Academic Excellence Scholarship at SVA. During the studying abroad period, she is financially independent that she never spent a penny from parents and was responsible for school tuition and living expense in New York totally by herself. She graduated from School of Visual Arts in 2013 with Paula Rhodes Memorial Award for exceptional achievement in Computer Art. 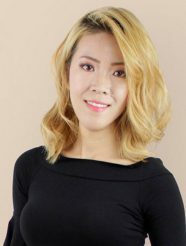 She has worked as a digital designer for Medialand in Taiwan, a creative/interactive designer for American Express and Hi-Res! respectively in New York City. Clients included League of Legends, The Glenlivet, Shiseido, KFC, AXE, EVA AIR, Ballantine’s, and Taiwanese Ministry of Culture. 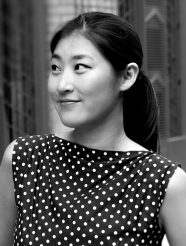 The highlights of her awards include: 2015 Red Dot Design Award: Communication Design, French Design Index Award Winner, Best CSS Award Winner, Adobe Design Achievement Awards, The Lumen Prize, The 10th Macao Design Biennial Award, The IEEE Visualization Arts Program, Google Chrome Experiments site, etc. 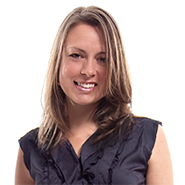 Shannon Stull Carrus is an award-winning creative director and partner at WHOISCARRUS, an interactive ad agency based in Orlando. She has more than 10 years of experience on both agency and in-house teams in various roles, including; copywriting, art direction, and creative direction. Shannon is excited to judge the Creativity International Awards for the second time, and looks forward to seeing the great creative work this year. 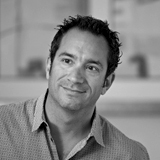 Jeremy Carrus is an award-winning art director with 17 years of experience in the advertising industry. With a focus on interactive design and usability, his goal is to create work that is not only beautiful to look at, but produces the results a client needs. He loves everything about creativity and design, and is always striving to learn new things. Jeremy has not only judged the Creativity International Awards, he and his team at WHOISCARRUS, an Orlando based advertising & creative services agency, helped create the site you're using right now. He is an active member on both the International Academy of Design & Technology (IADT) and Valencia Community College Graphics Committee boards. He is also a member of the AAF Orlando chapter and Orlando Tech Meet-up Group. In his spare time, he enjoys competing in triathlons, and completed his first Ironman Louisville, KY in 2014. When he's not doing those things on the weekend, you can usually find him just listening to Pink Floyd, painting, or doing his favorite thing of all – spending time with his wife and adorable daughter, Waverly. As President, COO, and Queen Melody has led countless groundbreaking initiatives, collecting a plethora of awards and accolades, including the Webby’s, W3’s, and Davies along the way. 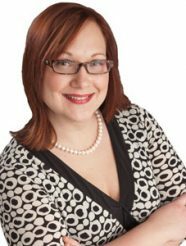 Through her passion and business savvy, Melody has won the trust and confidence of some of the most monumental brands including Blackrock, Shoppers Drug Mart, AIR MILES, Pizza Pizza, and Rogers Communications – to name a few. Not only is Melody leading the most awarded mobile marketing agency – that has grown at an astronomical rate year after year, but she somehow finds time to mentor young women, and enlightening audiences all over North America about the impact of technology on business and consumerism. 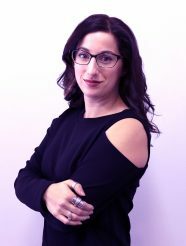 Driven by her passion to challenge the status quo and formulate new technologies to enhance the human experience Melody’s foresight for opportunities in the industry has paved the path for unparalleled success in mobile marketing. 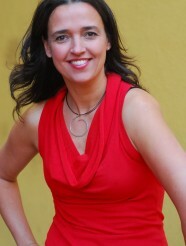 Lotus has spent her career creating design and advertising for global brands like Nike, HP, Intel and LG. After cutting her teeth on Nike at Wieden and Kennedy, the siren song of the dot.com boom lured Lotus to San Francisco, where she had the opportunity to work on long-defunct brands none of us will ever remember. (Tradingmeat.com, anyone?) Then, after tours at Publicis Dialog working on Microsoft, and Hal Riney on HP, Lotus sought deeper digital engagements and moved on to OgilvyOne. There, she led creative on Yahoo!’s Search and Entertainment divisions as well as their new gossip property OMG!. She also oversaw work on Sony. 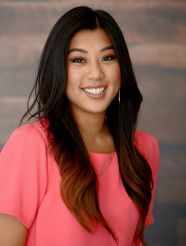 Most recently she was executive creative director for the San Francisco office of G2 (now Geometry Global) where she rebuilt the creative team, won new business and led the office to be the most-awarded G2 office in the U.S.
Creative director with extensive b2c and b2b design and advertising experience in both online and off-line media. Proficient in website development and design, information architecture, and supervision of back-end data base programming. 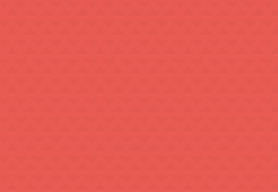 Specializing in direct email campaigns and web branding. Off-line experience includes logo design, brand development, advertising, direct-mail and collateral materials. Publishing experience in design and production of children's, trade, and retail books. Randi holds a B.A. from Rutgers University and a M.S. in Communications Design from Pratt Institute, where she graduated at the top of her class. 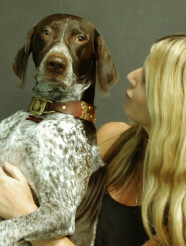 After that, she worked for 10 years at Advertising Agencies and Design Studios in NJ, New York City, Atlanta and Philadelphia with clients such as Coca Cola, Amoco, Prudential, Alpo Petfoods, and FedEx. 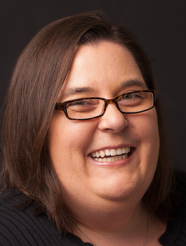 In 1988, Randi opened her own business, with a goal of producing the same high quality of work she did at Ad Agencies with a less expensive and personal approach. Throughout the years, Randi has continually received praise and feedback from clients who have experienced such things as "record-breaking attendance", "highest gross profits", or the "largest annual increase in sales (or donations)" from projects she's created. Randi has also shared in her clients' successes, winning a multitude of national and international awards, and her work has been featured in numerous books and publications. She has been honored by being chosen to serve as a Judge for many award competitions, including the Florida Addys, Association of Fundraising Professionals and the prestigious Creativity International Awards. Randi and her husband live in Glassboro and have three children. 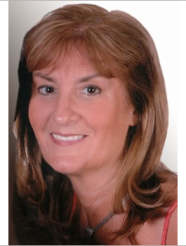 She has served as VP of Glassboro School's PTO, on the Boards of Directors of the Greater Glassboro Chamber of Commerce and her synagogue, and she is a member of the Greater Glassboro Group. She also taught graphic design as an adjunct professor. Additionally, she plays a very active role in education and the revitalization of her community, and she was recently honored with a "Volunteer of the Year" Congressional Award. 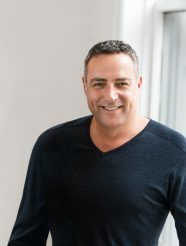 Michael Mrakovcic - DNA Communications Group, Australia Co-founder / Executive Creative Director Michael has 20 years of award winning creativity under his belt. His passion for creative excellence has seen him participate as an award judge in Europe, Brazil, Australia and the USA, allowing him to promote the big ideas that move us, influence us and make market leaders. What do I love?.. The goosebumps… that primeval involuntary physical and emotional feeling we all get when exposed to ideas that tingle our senses, extraordinary work, brilliant work, work that you wish you had done... God I love that. But, most importantly, giving our brilliant, global, creative family the accolades and recognition they deserve. Having been a musician for the early part of my life, I was shocked to find a home in the art studio when I stumbled into Drawing 101 during college. I quickly switched gears, received a BA in Studio Art from Mary Baldwin College, and moved to New York to pursue a masters degree at Pratt Institute. After deciding that six months of the NYC grind was enough to last a lifetime, I moved back to Virginia and went to work for a newspaper, followed by a stint in higher education development. Eventually I found my way to Savannah and graduated from SCAD with a Master of Fine Arts degree in Graphic Design. I've been designing ever since. I consider myself one of the lucky ones. I don't get up every morning and go to work. Instead I get up every morning, do what I love, and just happen to get paid for it too. My passion for design, story-telling, semiotics, and the process of discovery allows me to take a holistic approach to every project I touch. I'm not afraid to take risks and I try to push my clients to do the same. In doing so, the results are unique, tailored experiences that make lasting impressions. Currently I live in Richmond, VA with my best friend, a 13 year old Labrador Retriever named Dymer Belle. My time is split between running my business, contracting with larger agencies, art directing Grid magazine, and teaching at Virginia Commonwealth University. In July of 2013 I launched a blog/social experiment called Batter Up where I surprise unsung community do-gooders with homemade cake in the name of making real connections and sharing stories. If I had any free time I would probably enjoy traveling, shopping, and long walks on the beach. Founder of FactorTres, with extensive experience as a partner in some of the most important offices of Mexico as Design Associates - now Brand-Future Emblem has directed and designed projects for Bimbo, Nestle, Telcel, Diageo, Bachoco among others. He graduated from the first generation in Graphic Design at the Universidad La Salle. He completed a Masters in Marketing and Communication at the Universitat Oberta de Catalunya, Barcelona, and completed a Diploma in Marketing InstitutoTecnológico Monterrey. 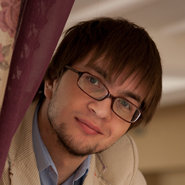 He has received several awards and honorable mentions of the Quorum Prize, as a student and as a professional. He has also won prizes in competitions organized by the magazine! Design, Neo Magazine, London International Awards and Creativity Awards United States. 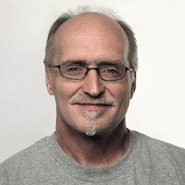 His work has been published in more than 20 international design books - Creativity David Carter, Logo Lounge, Graphic Design That Works, among others. He was recently interviewed for the book Good Design: Deconstructing Form, Function, and What Makes Design Work -released Lockport Publishers by renowned designer Terry Marks. In this book, 30 designers from various countries give their opinion on what is good design. He Currently teaches typography, brand identity and graphic applied to the container in La Salle University in addition to lectures in different universities. Matadog™ Design is a branding, packaging and product design firm that founded in 2009 by Andreas Kioroglou. In a short time, our work has been internationally recognized and has been awarded by the most prestigious international design and advertising competitions such as Cannes Lions, Creativity International Awards, Pentawards, Summit Awards among others. Our work targets domestic and global markets as our design firm cooperates with brands around the world. 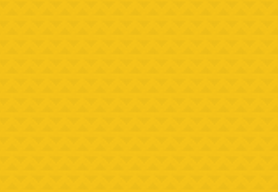 Our size, gives us the flexibility to offer solutions to customer needs, with friendliness and a spirit of cooperation guaranteeing unique and, above all, effective and successful solutions. Our different way of thinking, combined with design strategy and advanced idea generationmethods with attention to detail, produces innovative ideas not hesitating to explore uncharted water with the aim of providing unique solutions. Our main concern is customer success and satisfaction and our aim is to give added value to every design. Our goal is to build brands and products that last. "During art school in Boston, I was convinced that fine art was the only true art. Even to think of commercial art was to "sell-out". That was back when the Museum School didn't offer design courses -- times have changed. I did some brief stints as photo-lab manager, commercial photographer, antique dealer, bass player and singer, before fate pushed me to choose a new path and I returned to school. I did the most evil thing I could think of... I studied design and happily landed my first job as an art director, where I built a strong portfolio filled with heavy hitters. That portfolio landed me a great contract at a large east coast agency." She worked almost a decade as a freelancer / contractor, working with agencies, internationally known companies, smaller local firms and many non-profits. Then, she formed Wetherbee Creative & Web with her husband Neil, when the need to move from solopreneur to a growing partnership made sense. As the creator and producer of entertainment content for Victory Arts, Tero has successfully developed and produced YOUniverse, (TVO, Knowledge Network, YLE), a preschool series about space exploration from a child’s perspective and Alphabet Stories, (TVO, Knowledge Network), as an innovative short series that showcases letters from the alphabet and spins them into wild and whimsical stories. Tero has also created the Air Crafters, which was green lit for development with TVO in September 2014. The Air Crafters is a crafty and educational preschool series that is full of creative thinking and action based crafting. With the first three properties successfully moving forward, Tero continues to create, produce lead the creative direction on multiple new properties within the Victory Arts Catalog pipeline. 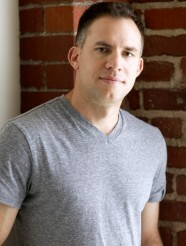 Prior to Victory Arts, Tero served as Director of Creative Content with Fuel Youth and worked on creative projects for Lucasfilm’s Star Wars, Hit Entertainment, Google, NBCUniversal, Mattel and FremantleMedia. Tero has won several media, design and content awards through Victory Arts and with his previous company, MõSHON Digital Media, which was acquired in 2000 by Itemus Inc.
Are you looking for an experienced marketing strategist who can show you how to increase patient engagement for your medicine or health practice? The internet and mobile platforms have opened up communication and social channels providing opportunities to strengthen patient relationships as never before. I am passionate about integrating the right channels into our clients communication plans. Ensuring we deliver the right message, at the right time, and on the right device. Integrated offline and online content and relationship marketing strategies can achieve better health outcomes, increasing patient retention and referral. Specialties: • Email newsletters • Social media • Websites • Communication strategy • Content marketing • Branding I have over 20 years' experience in health advertising, publishing, medical education and health communications consulting to clients including Kellogg's, Astra Zeneca, Roche, MSD, Sanofi, Johnson & Johnson, NSW Government, Australia and New Zealand Head & Neck Cancer Society, Mosman Fine Dental and Personal Eyes Optometry. Having integrated digital channels into multidimensional health programs, I bring a wealth of knowledge and provide a practical perspective to each project. Looking for stronger engagement with your patients and want to integrate the right communication channels for your brand? Born in Bangkok, Thailand, Sakol always had a passion for art. From there, he started his advertising career in 1990 after graduating with a BFA in Visual Communications Design from California State University, Long Beach. 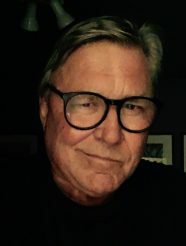 Over the years, he has worked at Wieden & Kennedy, Hal Riney & Partners, Leagas Delaney, BBDO West and even started his own advertising agency, Acme Advertising. The work he’s done has been recognized in The One Show, Communication Arts, New York Art Directors Club and many other national and international creative and design competitions. He likes to think of himself as a thinker. A collaborator. A crafter of print ideas. TV ideas. Virtual ideas. Viral ideas. All ideas. Derived from insight. Make it unique. Make it compelling. His motto: Always think, explore, learn, create and communicate. And most of all, have fun along the way. 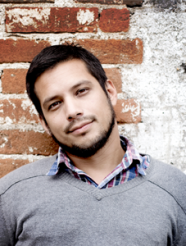 Pancho González Chief Creative Officer & Co Founder Inbrax Chile Pancho González studied advertising at the Universidad de Santiago in Chile and coursed an EMBA at the Berlin School in Steinbeis University, Germany. 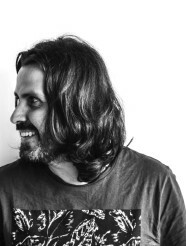 He has worked in the best Chilean advertising agencies and currently is Chief Creative Officer at Inbrax Chile and Director at Achap (Chilean Advertising Association). He has been judge at major worldwide advertising festivals, including Cannes, Clio Awards, The New York Festivals, Art Director's Club, LIAA, Mobius, Webbys Awards, Ad Stars, Grand Jury at Cresta, FIAP, Effie Awards, Golden Awards of Montreaux, Cristal Festival, Eagle Awards, El Ojo de Iberoamerica and Achap (Chile), among “many many” others and was the first Chilean to chair the jury of the AME Awards in New York and teaching at Miami Ad School. He has been speaker in Costa Rica, Brazil, Argentina, Russia, Germany, United States, Japan, Korea, Czech Republic and Chile. With more than 100 national and international recognitions (Cannes, ADC's, The New York Festivals, FIAP, Ojo de Iberoamerica, Young Creatives One Show, Effie, Grand Effie, Young Guns, Epica Awards, Cristal Festival, Creativity Awards, Cresta Awards, Fepi, Eagle Awards, AdStar, IAB, WINA Awards, Achap) is one of the most influent creative in his market. Recently nominated in the Top 25 Worldwide Chief Creative Officers and Worldwide Top 100 Influencer by Creativepool, London; Adlatina ranked his agency Chilean Top Ten at Crema Ranking 2014 and his agency was located at 7th place in WINA Festival 2016 overall. Throughout his career he had worked for local and global brands and is happily married with Carolina whom he has a son called Caetano. What happened this year? He had the honor to judge at PIAF Awards (Czech Republic), Webby Awards (USA), Cresta Awards Grand Jury (USA), Lisbon International Awards (Portugal), Web Awards (USA), Effie Latam (Argentina), Effie College & Effie Awards (Chile) and speaker at Marketing & Sales Congress at Seminarium (Chile), PIAF Awards (Czech Republic) and Academia Digital Achap (Chile). I’ve spent over 15 years in the marketing and creative industry, and have been involved in a range of brand initiatives that have won several national and international awards from the likes of Creativity International, Print, and Graphis, among others. I’ve had the honor of being an international judge for multiple award events, as well as teaching and speaking at universities and colleges across the U.S. Although I was born in the South, I lived and worked in Upstate New York for more than 30 years before relocating to Atlanta, where Verse Brand Strategy was founded. In my spare time, I love spending time with the people (and pets) that I enjoy most. You’ll find me eating queso and drinking cocktails at Atlanta’s great restaurants, walking, hiking, or occasionally running outside whenever I can, or traveling to amazing places to fulfill my wanderlust. I’m also Executive Director for a great cause called MatchAtlanta.org, which helps bring marketing experts and non-profits together to better humanity. 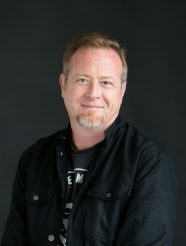 Dan Dry is PriceWeber's Managing Director of the Creative Content Studio, he has won over 400 national and international photography, advertising and design awards during his career. 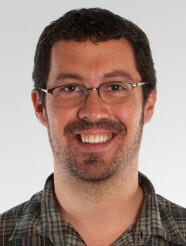 Prior to joining PriceWeber Dan was the Chief Visual Officer and Senior Vice President at Power Creative for 5 years; Dan was under contract for eight years as a member of the creative team for the University of Chicago Department of Alumni Relations and Development from 2002 until 2010. He has been Director of the Kentucky Derby photo team for over 30 years. Dan was a member of the Courier-Journal’s Pulitzer Prize winning photography staff from 1976 until 1982. Dan served two internships at National Geographic Society; his first began at age 19. He went on to work professionally for the publication for an additional eight years, traveling the world extensively and shooting a variety of assignments as a contract photographer. He is the sole author of over 23 coffee table books and cookbooks. Prior to joining Power For over 20 years as the principal of Dan Dry & Associates, Dan worked in all phases of corporate and advertising photography shooting for Fortune 500 companies and advertising agencies. Dan has lectured and mentored students at dozens of colleges and universities around the country, as well as judged countless professional creative competitions for the past 30 years. Dan is the past Chairman of the Board and President for the American Advertising Federation Louisville chapter; the chapter recognized over 10 times as the AAF National Club of the Year. A consummate Foodie, it is a sure bet his Instagram posts will make you hungry. 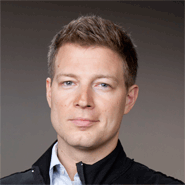 Fabian Geyrhalter is the Founder and Principal of FINIEN, a consultancy specialized in turning ventures into brands. 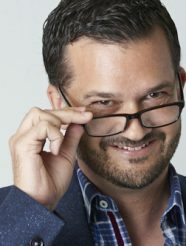 For 12 years he has been running the highly successful branding and graphic design agency Geyrhalter & Co, working for clients such as The Bill & Melinda Gates Foundation, Goodwill, Brandman University, W Hotels, CO-OP Financial Services, USC, Evolution Juice, The City Of Los Angeles and John Varvatos. Geyrhalter has been published internationally by the likes of The Washington Post, Graphis and Communication Arts. He frequently writes about branding and is a columnist for Inc. An active jury member of the Academy of Interactive & Visual Arts and winner of numerous design awards, including 23 American Graphic Design Awards, Geyrhalter is often invited to judge international design competitions. He served as an adjunct professor at USC and Art Center College of Design and is an Advisory Board Member of the Santa Monica College. 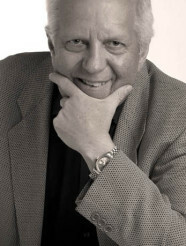 Geyrhalter is a frequent speaker and mentor to entrepreneurs worldwide, a “Global 100″ mentor at the Founder Institute and co-author of the #1 best selling book “How to Launch a Brand.” He is further serving as consulting Executive Creative Strategist at Urban Insight, a leading technology consulting firm, managing the intersection of brand vision and creative digital strategy. At the age of 21, he became Creative Director at Insyght, developing corporate identity and collateral projects for pharmaceutical industry giants like Pfizer and Lilly. He later served as Creative Lead at Genex, an Adweek Top 50 Interactive Agency, overseeing the emerging online media account for the luxury automotive brand Acura. Geyrhalter was born in Vienna, Austria and is a graduate of Art Center College of Design. 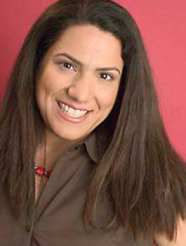 Angelina Sereno, president of Skybox Creative, started things small in 2006. What began as a Web Design and Branding studio out of her home, became a team of 12 with an office in the heart of San Diego. Skybox quickly found itself providing creative services to a wide variety of industries and clients including Warner Bros., CBS, PETCO, Red Bull, LA Fitness and US Bank. Angelina has won the highest honors at every phase of her development and proven her metal in today’s fast-paced, rapidly changing, media-based world. An all-star graduate of the Art Institute of CA-SD, her design work and leadership influence have won her numerous awards and nominations nationwide. Prior to starting Skybox, Angelina spent 6 years at Euro Style Advertising, working her way up from Intern to Art Director. Always intrigued and energized by quickly evolving technologies and creative approaches, she accepted the challenge of working for the agency’s top clients. Angelina had plans for Skybox to become more than just a successful creative agency, but for it to fuel her larger vision. A philanthropist and environmentalist at heart, she is an ongoing sponsor of numerous charitable organizations. Born and raised in New York City, Amy began her career in retail, designing advertisements and catalogs. When an opportunity arose to design software manuals (!) in Paris, she didn’t waste a minute. She spent three years in the French capital, designing magazines and brochures for a small publishing company, in addition to the aforementioned software manuals. Upon her return to New York, Amy worked at several small design firms before deciding to try her luck at a Big Corporation. Amy spent six years there, first as an art director and then promoted to design manager of corporate communications before deciding to start Brown Stone Studio. She brings experience in branding, marketing and corporate communications, and editorial design to the corporate, publishing, and nonprofit sectors. 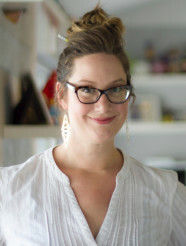 Amy holds a BA in art history (with a minor in painting) from Syracuse University, continued her education at SVA taking several design courses, and has an MA in communication design from Pratt Institute. She is an active volunteer, member of several professional organizations, and is the creative lead on all studio projects. She lives in Brooklyn with her husband and a shelter mutt. 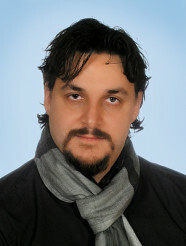 Head Designer of Merchan-design, design agency with a focus on premium and luxury market, founded in 1995. 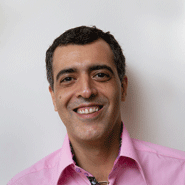 Director of Project of Association of Product Designers (ADP) in Brazil. Awarded in several national and international design competitions such as the IF Design, A'design Awards, Creativity Awards, London International Advertising Awards, Idea Brasil. Columnist Award, Premio ABP-Brazilian Advertising Association, totaling more than 40 award-winning projects. In 2012 was the design agency of the Year by the ABP- Brazilian Advertising Association. 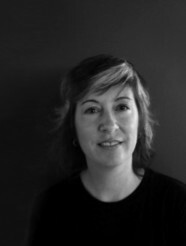 Participates as a judge in various competitions of national and international design and was the president of jury from the Brazilian Advertising Festival – design category. Over the years I've worked at big agencies in big cities, BRANN/EURO RSCG and Publicis. I've worked at small shops in the Midwest. And I’ve co-founded an agency at the beginning of a recession (2008 was a great year to start any business) then sold it six years later. First and foremost, I love creative problem solving. Whether that's helping HP figure out how to spend a $280 million ad budget, or developing a poster concept for The San Francisco Design Center that will wow jaded creative types. My work has been recognized by industry award shows and publications including The One Show, Communication Arts, Advertising Age, The New York Festivals, The John Caples International Awards, The International ECHO Awards and The National ADDY Awards. I've developed global campaigns for Microsoft, WebEx, Hewlett-Packard, Intel and Visa. And national campaigns for Sprint, United Airlines, Hallmark Cards, American Century Mutual funds, IMAX Theaters, and the Bermuda Board of Tourism. On a personal note, I was raised by a shrink and a zookeeper in Kansas City, which many of my colleagues say, explains a lot. Gaston Legorburu sets the strategic and creative vision for SapientNitro and its integrated marketing and commerce services. 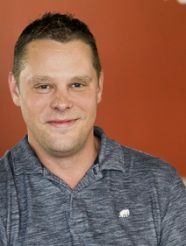 He has a passion for bringing organizing ideas and connected thinking to the table and has been instrumental in expanding SapientNitro’s capabilities beyond digital and landing several AOR relationships in the process, including Bertucci's and Visit Florida. Recognized by Adweek 50 and TED as a game-changer who is modeling the agency of the future, Legorburu has constantly challenged the advertising industry since co-founding Planning Group International (PGI), now the core of Sapient's Miami presence. Three years later, he turned industry heads when Sapient became the first interactive agency to acquire an above-the-line shop, Nitro Group, best known for its “Best Job in the World” campaign. Legorburu has been a driving force in the constant evolution of SapientNitro into a new breed of storyteller for an always-on world. His unique storyscaping approach and Idea Engineering framework mixes multi-disciplinary teams of strategists, creatives, and technologists to shape brand storytelling through experiences that interweave physical and virtual spaces, and deepen consumer connections. In the company's constant quest to find new ways for brands and consumers to connect, SapientNitro has grown into the largest independent agency worldwide and racked up thirteen Cannes Lions for its signature look of "advertising as experiences." Throughout his career, Legorburu has helped clients gain unparalleled insights into effectively marketing their products and services in today’s increasingly complex marketplace. He continues to provide clients like Citi, Coca-Cola and ESPN with innovative solutions to critical business challenges. 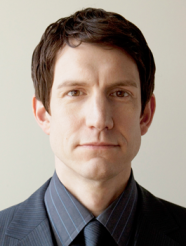 Widely recognized as a thought leader, Legorburu is frequently quoted in publications such as Advertising Age, Bloomberg, Fast Company, and The Wall Street Journal, and is a member of TED. He is a sought after speaker who has presented at notable industry conferences including Ad:Tech, OMMA Global, and SHOOT. 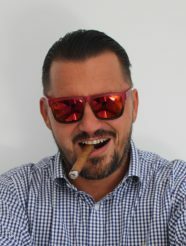 He works in SapientNitro’s Miami office and can frequently be spotted on his boat on weekends. 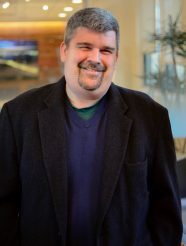 Clark is a principal of RedPoint Design Direction in Midland where he has worked as art director, designer and photographer for a variety of organizations from fortune 500 clients to small start-ups and non-profit groups. He is also a Full Professor of Art and Design at Central Michigan University where he has taught a wide range of design communication courses. 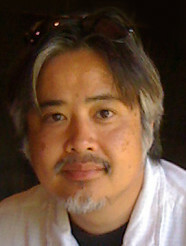 Clark's work has been published in multiple national and international books, magazines and exhibits. He has also been honored and had work published by organizations including: Communication Arts, the American Institute of Graphic Design (AIGA), The American Advertising Federation where he has received multiple District and Regional Addys, The Webby Awards (including non-profit website of the year), The Pixel Awards, The Creativity Awards, the American Graphic Design Awards, Logo Lounge and others. 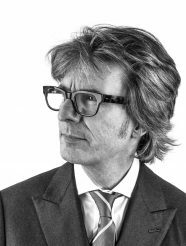 Clark has also served as a juror for several regional and national design organizations. John Carstens is a seasoned creative director and writer who’s worked across traditional and digital channels at the likes of Leo Burnett, DDB and TBWA/Chiat/Day. His brand experience spans just about every category, and includes Mercedes, Reebok, Heinz, CareerBuilder, BlackBerry, BellSouth, John Deere, Hyatt, Kinko’s, Taco Bell, Nissan and Apple. John’s work has been recognized by Cannes, One Show, Communications Arts, Athena (Best of Show), Mobius (Best of Show), WebAwards, AdWeek, Creativity, The New York Times, David Letterman and TBS’s “America’s Funniest Commercials.” He once walked the halls of the University of Virginia, Northwestern University and Portfolio Center, and is originally from Oshkosh, Wisconsin. His interests include midcentury modernism, fiction writing, Project Runway and the Green Bay Packers. John particularly enjoys the company of his two mildly eccentric children and tolerant wife. John is a veteran of the design and branding world, having spent the last 20 years working for leading global package design firms. 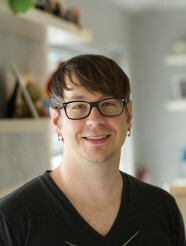 In 2001, he founded Little Big with the desire to help clients find the nuances that make them unique. He’s been instrumental in creating and revitalizing brands for a blue clip list of clients, including: Coca-Cola, Bolthouse Farms, Gillette, Campbell’s, Johnson & Johnson, Burger King, Novartis, Unilever, Fleet Laboratories, Pepperidge Farm, and Sun Products Corp. In 2011, he was named to GDUSA’s prestigious “People to Watch” list. John is a frequent contributor to industry publications such as Brand Packaging and Package Design Magazine, has served as a judge for numerous international design competitions, and enjoys guiding the next generation of designers as a guest lecturer and mentor to students at Syracuse University and New York’s F.I.T. Clients come back to DaT for one main reason: Solana Crawford. 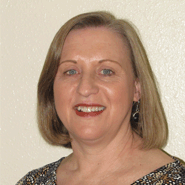 Her unparalleled energy is coupled with over 15 years of experience. Whether conceptualizing a new brand, designing a premium UX and UI, revamping a website, or acting in front of a camera, Solana brings her positive energy and immense talent to the table. She manages an awesome team that delivers amazing results. Solana transplanted from Buenos Aires, Argentina to San Francisco, CA in 2000, and founded DaT in 2005. She holds a B.S. 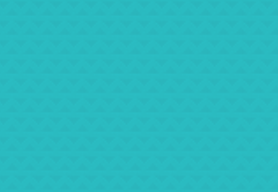 degree in Graphic Design from the University of Buenos Aires. 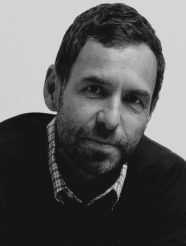 After moving to New York City, Ben was first at AKQA, instrumental in providing innovative creative direction on a host of successful global campaigns for Calvin Klein, Smirnoff and Coca-Cola. Recently at Publicis, Ben was a creative lead on LG as well as Citibank's Team USA sponsorship for the 2012 Olympic Games. 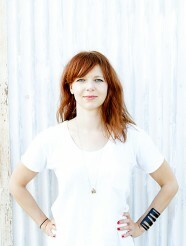 Alicia is currently the Creative Director of gelcomm, an award winning youth & family branding agency. Raised in beautiful Colorado, Alicia came to Los Angeles to attend UCLA where she studied language and business. Prior to gelcomm, she developed her craft and love of design at DreamWorks Records; mentored by some of the best. Alicia has over fifteen years experience in creative development with an emphasis in youth, strategic brand insight and package design. She has led global initiatives at gelcomm for such clients as Procter & Gamble, Fandango, Disney, Mattel and Kellogg’s; not to mention local start ups in her community. As Creative Director, she instituted a vibrant internship program and continues to feed her need for information by attending and speaking at youth, branding and innovation conferences. She is often found buried in a stack of illustration magazines or obsessing over the latest tech blogs... and is never without her blue Pentel mechanical pencils. Laura Suuronen is a Finnish multidisciplinary designer based in London. Her work has won prestigious design awards (Graphis, Communication Arts, I.D., Creativity, Vuoden Huiput) and been featured in books and magazines. Laura's work has also been exhibited worldwide and her posters are part of permanent museum collections in Asia, Europe and the Americas. Prior to going freelance full-time, Laura worked in top creative agencies in Finland and the U.K. (Hasan & Partners, Engine), designing and art directing for major international brands such as BMW, Boots, Fazer, KPMG and Nokia. Her own culture and entertainment clients have come for her bold, expressive designs from around Europe and the U.S.
Brian is a veteran of the digital industry. He is the founder of RED Interactive Agency, a client-focused and results-oriented digital agency, and is responsible for the company’s overall vision, strategy, culture and operations. 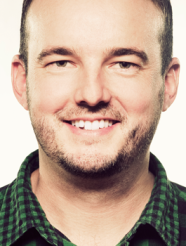 Brian has an extensive background in digital strategy, design and technology, and has cultivated deep, long-term partnerships with a wide variety of global brands. Brian is committed to staying on the forefront of the latest trends and emerging technologies, and continues to expand and evolve RED's capabilities based on the changing needs of the industry and his passion for innovation. 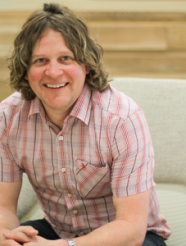 He launched an internal games division, RED Games, long before the widespread popularity of online gaming and has led a number of award-winning digital IPs and proprietary social platforms to the market. He has been quoted in a variety of trades/publications, is a featured speaker at several tech conferences and events, and continues to be an ongoing contributor to the digital industry. RED is a WME (William Morris Endeavor) Partner Company. Frederic Vanhorenbeke has been working in the identity and luxury industry for the last 17 years. With a background in marketing, Frederic has accomplished global identity overhauls with his company Coast, as well as niche market projects for smaller brands and cultural institutions. His work as designer has often been featured in the design press (Victionary - Tashen - Laurence King) and was awarded "Best of Show" at the Brand Impact Awards in 2014. His clients include the LVMH Group, Mons 2015 European Capital of Culture, Komono, Deutsche Bank, Bnp Paribas & Blanc Kara Miami. Juan Pablo is originally from Chile. 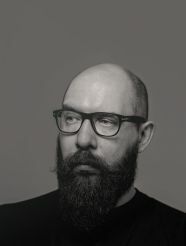 With art direction and copywriting skills, he has worked over 15 years in BBDO and MRM/McCANN in Chile, BBDO and Contrapunto in Russia, and TBWA\Central Asia & Caucasus and Cheil in Kazakhstan. After being working several years in Chile, he moved to Moscow, where he managed brands like Beeline, Procter & Gamble, Wrigley, Frito Lays, Mars and many others, for almost 3 years as an Art Director, Creative Group Head and Creative Director. 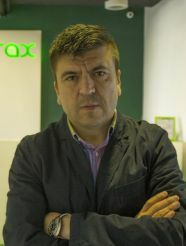 Then, he moved to Almaty, Kazakhstan in 2009, to lead TBWA\Central Asia & Caucasus, transforming the agency in the Most Creative Agency of the region, during 5 consecutive years 2009, 2010, 2011 2012, and 2013, until he left in 2014. Since the middle of 2015 he is the Executive Creative Director of Cheil Worldwide in Kazakhstan, and the agency already achieved the TOP #1 of the Creative Ranking in the region. 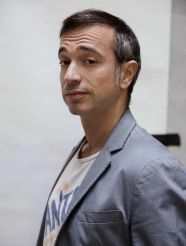 He has received more than 200 awards and nominations from many advertising festivals around the world, including Epica Awards, Clio Healthcare, Golden Drum, AD Stars, Red Apple, Kiev, Diente, Creativity Awards, Golden Hammer, IDEA, White Square, Summit Awards, PIAF, Popok, ADCR, and others, becoming the most awarded Creative Director in the region. His works have been published several times in Lurzer's Archive (15 times) ranking him Top #12 (Copywriter) and #20 (Art Director) in the world during last 10 years. Also his works had been published at Communication Arts, Epica Books, Creativity Annual Awards and others. He often collaborates as a jury at New York Festivals, Golden Drum, AD Stars, Creativity Awards, and others local festivals. 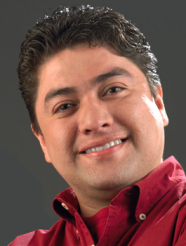 Paulo Chacón Baltodano, I‘m from Costa Rica. I have art direction and copywriting skills. I worked over 10 years in differents agencies: including Saatchi & Saatchi, Grey, Young & Rubicam, Lowe and Ogilvy. I’m currently an Associate Creative Director of ¿Por Qué Publicidad? Creative Boutique since 2009. Working in the industry since 2002, helped building successful regional and local cases for brands such as British American Tobacco, Mcdonalds, Toyota, Colgate, Scotiabank, Toshiba, Claro, Coca Cola, American Express, Microsoft, BMW among others. Responsible for developing impactful ideas/campaigns across different creative platforms and budget ranges. I have advertising awards (national and international). Outside of work I spend my time with my family, I’m an university teacher, I enjoy movies, Jack Daniels, surf and playing soccer. I love taking photos and making social campaigns. 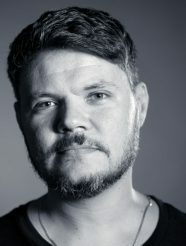 Associate Creative Director of DH,LO Creative Boutique since 2010, is considered one of the most important Brazilian creatives of his generation. Speaker at the 60th Cannes Lions International Festival of Creativity. Working in the industry since 1994, helped building successful regional and local cases for brands such as Carrier, Apple, Castrol, Honda, GM, ASA Industry, Government of Pernambuco, Exclusive Line, among others. Juror at many international creativity festivals such as New York Festivals, LIA - London International Awards, Tomorrow Awards, Creativity Awards, Summit Awards, Mobius Awards, and El Ojo de Iberoamerica. 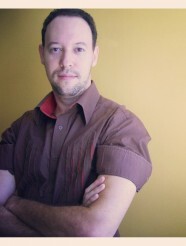 Appointed one of the "Ten most influential creative in Brazil in 2009" (advertising) by AdvertLatina. 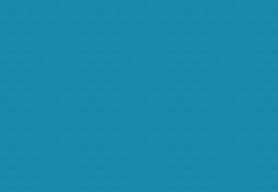 Appointed by Brazilian media the Brazilian creative that most attended to creativity juries in the early 21th Century (until 2014). 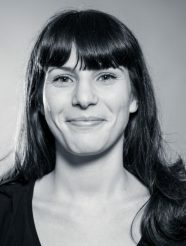 Member of The International Academy of Digital Arts and Sciences (iADAS); member of Art Director's Club - ADCNY (USA); member of Creative Club of São Paulo (CCSP-BRA). Columnist for the site of innovation “Update or Die”. Scott brings over 20 years of creative industry experience with a heavy focus on digital and innovation. His ability to utilize the newest technologies in search of authentic, consumer-focused experiences has led to several industry accolades, including OMMA, Effie, One Show, ADDY and Mobi awards among others, during his tenure at Broadcast.com/Yahoo, imc²/MePLUSYou, Hawkeye/FFWD, Targetbase and lastly as Executive Creative Director for RAPP in Dallas. Scott has created forward-thinking solutions for brands including Gatorade, Pizza Hut, AMD, Sony PlayStation, Toyota, Southwest Airlines, World Vision, Cinemark, Honda, AMD and Chili's. Scott is enthusiastic about motivating and mentoring team members and tapping into the essence of creative passion that lies at the heart of every visionary: to create that which has never been. Scott has co-founded his own creative shop, Abstract Explosion, focusing on big agency solutions with a scrappy, small-agency mentality. A graduate of The Art Institute of Dallas, he also plays guitar and sings for a local Dallas band, The 1969s, and and plays bass for Texas blues legend Reverend K.M. Williams’ Trainreck. Contributing world citizen. Digital native. Passionate about design, women and technology. Makes a mean cuppa’ chai. And, like her beloved MacBook Air, when not in use, she goes straight to sleep. 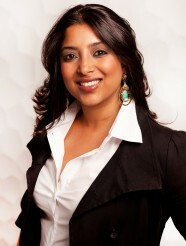 Ayesha was raised in Bangalore, India and educated in the cultural nexus of New York, Paris and San Francisco. A graduate of Parsons School of Design, Ayesha has over fifteen years of experience crafting strategy and creative direction for global companies including Apple, Facebook, The Insight Labs, Sephora, Amazon Lab126 and The Smithsonian. With a background in brand building, digital design and marketing, Ayesha writes for Forbes and Branding Magazine. A passionate advocate for women in business, Ayesha is a speaker, startup advisor, angel investor and is often invited to judge pitch competitions and interactive/new media award shows.